Macron devoted a brief prime-time televised address to April 15 catastrophic blaze in the heart of the capital, again postponing planned remarks on his response to months of anti-government protests. President Emmanuel Macron pledged on April 16 that France would rebuild the fire-devastated Notre-Dame de Paris cathedral, saying he hoped the work would be done in five years and the French people would pull together to repair their national symbol. 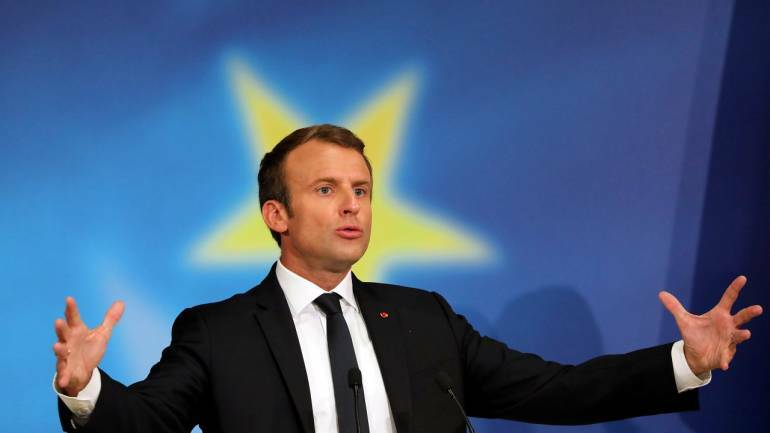 "This is not a time for politics," added Macron, who had cancelled a speech planned on April 15 evening on the response to the "yellow vest" protests. He visited the site of the fire late on April 15 and promised then to rebuild the cathedral, parts of which date to the 12th century.